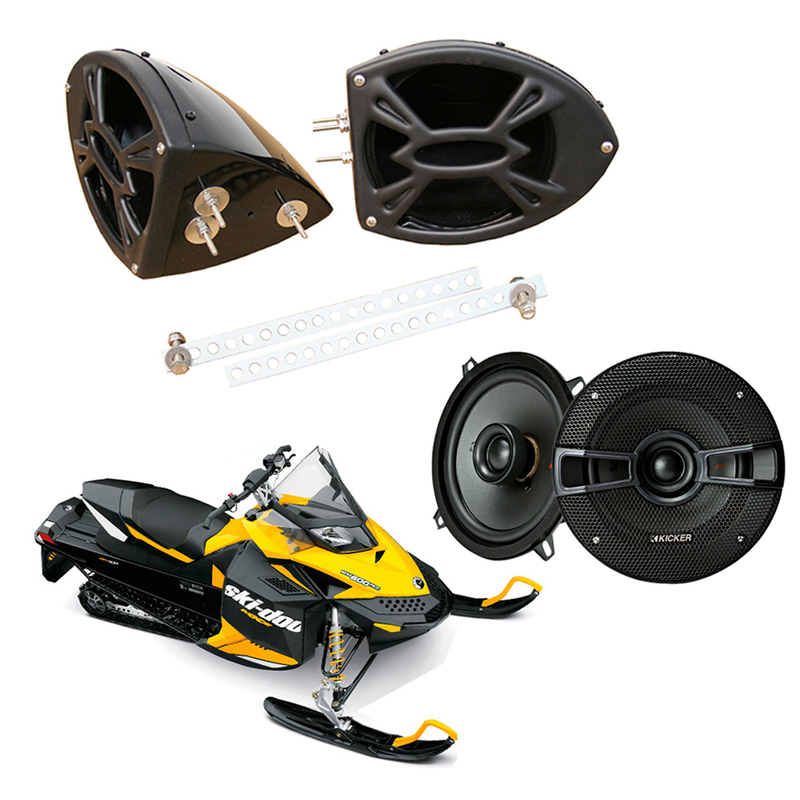 Check out our Ski-Doo snowmobile package that includes a pair of legendary Kicker KS525 speakers and the pair of REV-R enclosures all for one low price! 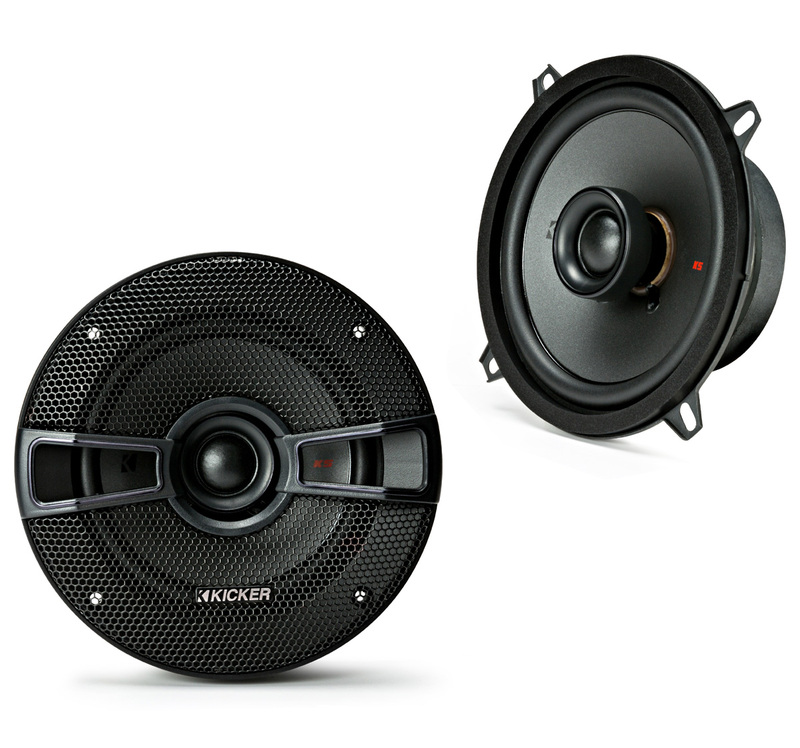 Waves & Wheels introduces the REV-R speaker panels designed to house a pair of 5 ??? coaxial speakers! The universal glossy black sleek design will look great on any application and aims the speakers directly at the operator which means you can actually hear your music while in motion! Each left and right side pod includes a 3 bolt mounting system, grill covers and drain holes so water can escape. The pods were designed to hold 5 ??? speakers however they must have the mounting tabs on the 4 corners to properly install into place (See Image). Each pair also includes metal back straps that MUST be installed for the pods to be correctly mounted. 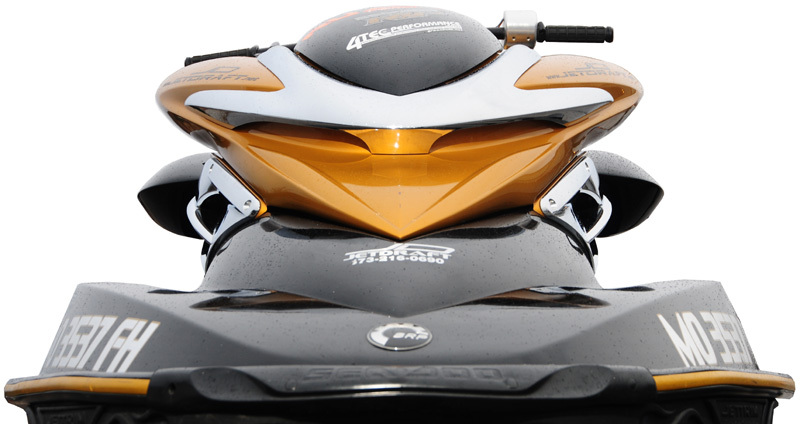 We recommend attaching the blackstrap from the pod to the actual frame of the Ski-Doo snowmobile. Most orders placed before 3:00 PM CST will ship within 24 hours. If you need a product by a specific time please contact us at 1-877-275-4434 before ordering. Most tracking numbers are sent out around 5:30 PM CST of the following business day. Please allow 24-business-hours after ordering before requesting tracking information. How fast will I receive my product? You have already written a review for this product. You may return this item in its original condition within 14-Days for a refund, minus a 20% restocking fee, and minus any shipping charges we paid to get the item to you.